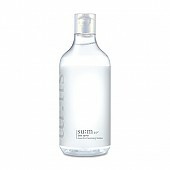 Radiante su cuidado de la piel con el [Sum37] Skin Saver Essential Cleansing Water! nuestro objetivo es ofrecerle los mejores productos coreanos para cuidar su piel, incluida Cosmeticos, Cuidado facial, Desmaquillante. Hydra Desmaquillante en línea. SUM37 Skin Saver Essential Cleansing Water is a liquid type cleansing water that removes makeup remanants and impurities clearly without needing to double cleaning. It contains fermented moisturizing ingredients to provide deep nourishment and hydration while cleansing. Moreover, vegetable extracts removes dead skin cells and excess sebum white tightens the pores effectively. 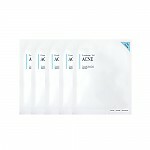 Pour amoderate amount to a cotton pad and cleanse makeup according to skin texture. Cleanse until makeup won?€?t besmeared to a cotton pad and finish with skin care lightly. Bought this to use when I get home from work and I'm feeling gross from sitting in the office in my makeup all day long. Isn't overly scented (sorta citrus-y maybe?) and seems to remove makeup really very well. as it's made to remove makeup, it seems to have some oil content in it and thus leaves your face sort of oily feeling after, this doesn't bother me as my skin is somewhat dry, but those with oily skin may prefer to wash their face again after use though it says it's not required for this. I do like this much better than the Skinfood black sugar water cleanser as it seems to remove makeup a little better.